One century after the start of commercial aviation HES is joining forces with a variety of partners to pioneer a new form of aerial mobility: quiet and zero carbon, personalized, on-demand, decentralized and economically inclusive of rural communities. Refuelling Element One will take no more than 10 minutes using an automated nacelle swap system that applies AGVs and automated warehouse operations such as those used by Amazon and Alibaba. 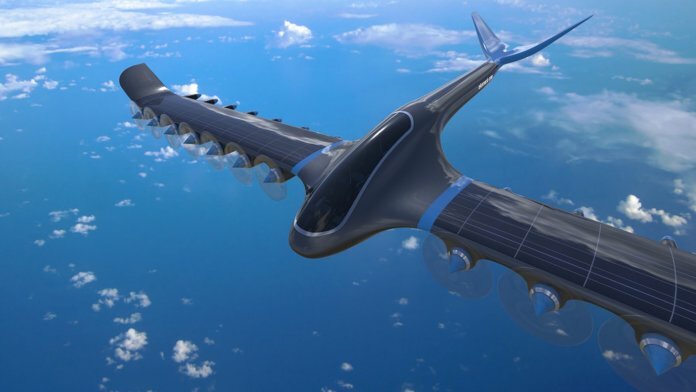 Last week, HES announced its plans to begin associating on-site hydrogen generation with fuel cell powered unmanned aircraft across a network of hydrogen-ready airports, in preparation for larger-scale electric aircraft such as Element One. HES is now in discussion with industrial-scale hydrogen producers to explore energy-efficient refuelling systems using renewable solar or wind energy produced locally. HES Energy Systems specializes in building high-performance hydrogen fuel cell systems to extend the flying range of autonomous aerial vehicles. With a presence in Singapore since 2009, HES has grown to become a global leader in developing ultra-light fuel cells and hydrogen energy storage systems. Hired by tier-one UAV manufacturers and leading aerospace institutes around the world for over 12 years, HES has developed a variety of hydrogen storage approaches to continuously push the limits of onboard, off-grid or portable energy. HES’ parent company H3 Dynamics Holdings is backed by Japan’s SPARX representing Toyota Mirai Creation Fund, ACA Partners, and Capital Management Group.